An anonymous New York City federal jury has reached a verdict in the trial of notorious Mexican drug kingpin Joaquin “El Chapo” Guzman. Jurors were asked to weigh 10 counts against Guzman, each with different components. Guzman’s federal drug conspiracy trial started in Brooklyn three months ago. Prosecutors accused Guzman of trafficking cocaine, heroin, methamphetamine and marijuana into the U.S. as a top leader of the Sinaloa Cartel. 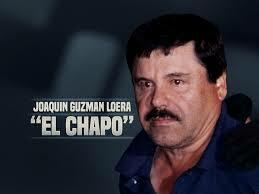 The defense asserted Guzman, 61, was the victim of an elaborate conspiracy. Over 50 witnesses were called by the prosecution, describing all aspects of Guzman’s life, from brutal murders, a naked journey he took through a secret tunnel, plastic bananas filled with cocaine and spied-on mistresses. Guzman has twice escaped from prison in Mexico, most recently in 2015. He was recaptured in 2016 and extradited to the U.S. in 2017. Officer that was fired for encouraging co-workers to shoot black people gets $100,000 in back pay and reinstated!